Business metrics are also known as key performance indicators (KPIs). 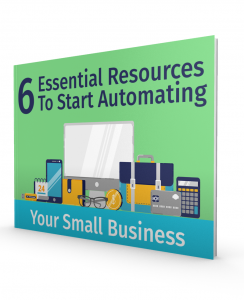 When you’re running a business, it’s easy to get lost in the day-to-day management of bookkeeping, payroll, payments and the million small things that have to be done every day. But, is that a good use of your time? 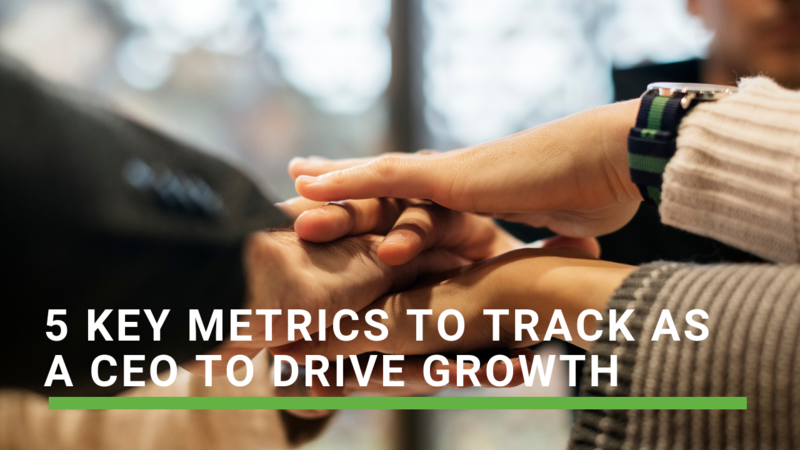 Tracking these top-level metrics helps ensure you are staying on track and progressing in a way that will allow you to achieve your goals within the time frame you have planned. There are several ways to measure your company’s growth based on your desired goals. They are useful tools in identifying how well business is going. Since there are so many metrics to choose from, here we are focusing on customers. After all, every business requires new customers to continue to grow and in order to help sustain that growth, you want to keep your existing customers happy. #1 Sales Revenue: This metric provides data regarding the income you’re making on a monthly basis and also the details of what services or products sell the most. This gives you insight as to what is your biggest seller, in which case you may want to market it more, as well as comparison of sales revenue over a period of time so you’re able to identify patterns. #2 Cost of Customer Acquisition: Measuring the cost of acquiring a customer (CAC) should be grouped together with customer lifetime value (CLV). Calculating the cost of acquiring and keeping customers involves a lot of different parts. For example, if you had forty new paying customers in January and spent $4000 in marketing that month, your CAC would be $100. To identify the CLV, you should find an average of transactions within a given timeframe. This figure is dependent on the specifics of what you’re selling. For example, are your products big-ticket items or smaller, consumables that are purchased over and over. Once you have your CLV and subtract the CAC, if the sum total is large enough then you can consider it reasonable. Such as, if the CLV was $1000 with a CAC of $100, your marketing is worth the price. #3 Customer Retention: Satisfied customers who repeatedly give you business are worth investing in. Not only do those loyal customers help build a foundation for your business, but they tell others about you as well. Customer loyalty is always enhanced by rewarding them with loyalty cards, VIP sales, etc. The retention rate reveals the number of customers that repeatedly by within a set amount of time and how much they spend. #4 Sales Funnel Data: Sales funnels are practically a must in the competitive business world these days. But how do you know if marketing is working for you, if you don’t have a way to track results? Each sales funnel stage, visitors, leads and customers should be measured so you’ll have the information to show you where the funnel needs to be adjusted. From knowing the number of visitors go to your website on a monthly or daily basis, to identifying how many of them show interest and leave or become a paying customer. #5 Conversion Rates: This metric is derived from sales funnel data and helps you determine where to adjust your marketing strategies and reroute the marketing budget. Overall, it is easier to adjust the sales funnel in a way that turns the visitor into a customer, rather than acquire more visitors to your site. Metrics show how your company is progressing, so you can make the most of the dollars you are investing into growth. They provide you with details as to how you’re doing financially, give data that helps you forecast for future growth and metrics monitor how well your company is advancing to the next goals you are aiming for. Sometimes this data can be overwhelming, and if it is something new to you, perhaps you’re having difficulty knowing where to begin. An accountant is trained to analyze reports and offer advice on ways to restructure as well as help you identify the most important metrics that should be monitored for your company’s growth. We'll take care of your back-office so you can get back to growing your business. The case against payroll in Excel. A tech accountant’s opinion. Singapore vs Hong Kong: where should you open your company? Is it better to open a company in Singapore or the US? Through an affordable flat monthly fee tailored to suit your business needs, PikoHANA automates your back office and provides some or all of your corporate services, accounting, payroll, tax, administration and customer relationship management implementation and support. This is done through deploying the best-of-breed cloud technologies based on your needs, integrated with PikoHANA’s proprietary business intelligence platform, AO. Get real-time analytics, speed and flexibility, and work out bespoke formulas for what is best for your company. With no capital expenditure necessary, the best part is you can expect cost reductions of up to 50 percent.